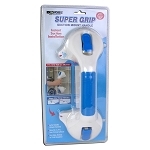 Feature an ergonomically designed handle for a comfortable, safe grip. No tools necessary for mounting. Clamping mechanism securely attaches the rails to the tub. Width of clamp adjusts from 2-1/2" to 6-1/2" (6.4 to 17cm). The rust-proof plastic body features a textured surface for a confident, non-slip grip. 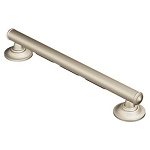 The Standard Safety Rail extends 12" (31cm) above the tub rim and weighs 2-1/2 lbs. (1.1kg). 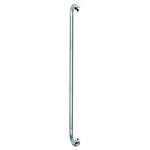 The Tall Safety Rail is an easy-to-reach 16" (41cm) above the tub rim. 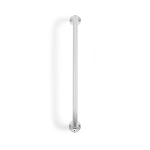 The added height reduces the amount of bending required for taller people, making tub entry and exit safer and easier. Not recommended for use with fiberglass tubs. 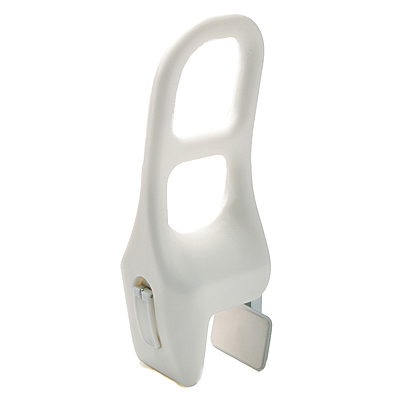 Supports up to 250 lbs (113kg).